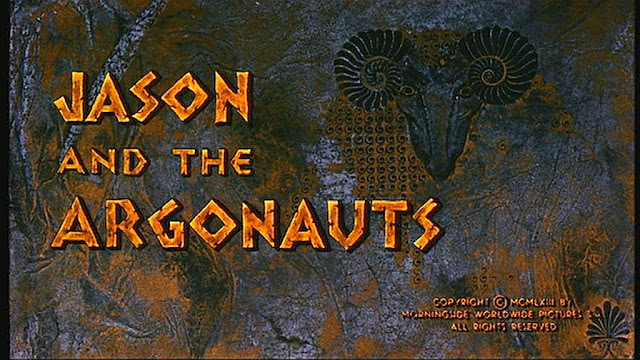 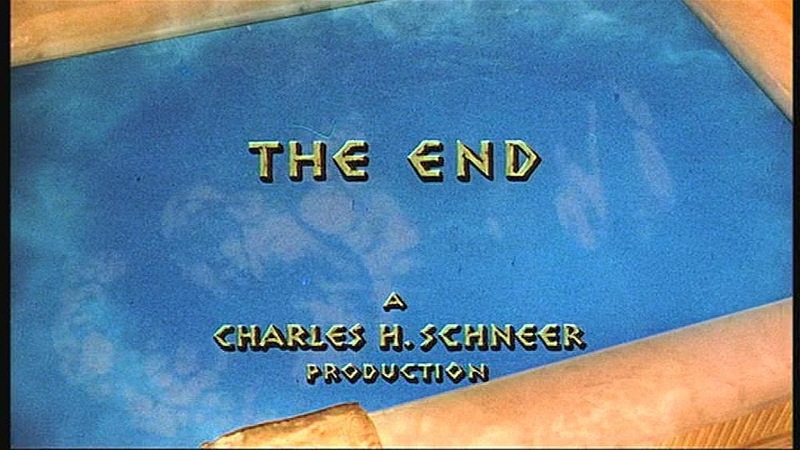 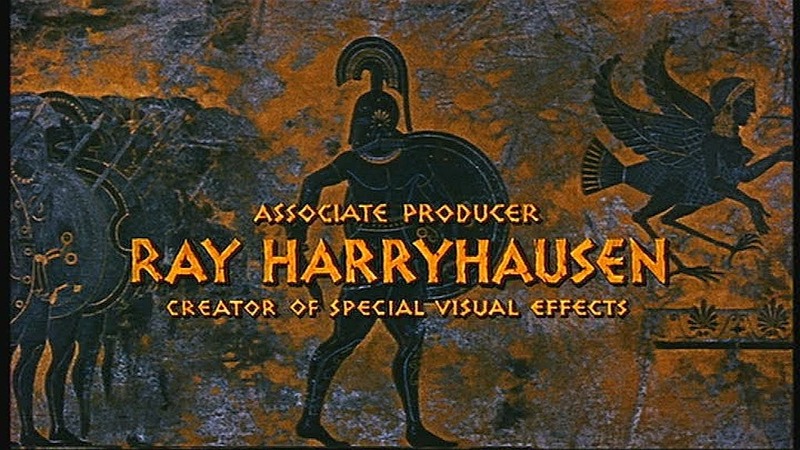 As I have mentioned in the introduction to this website found on the About page, this was my favorite film as a child. 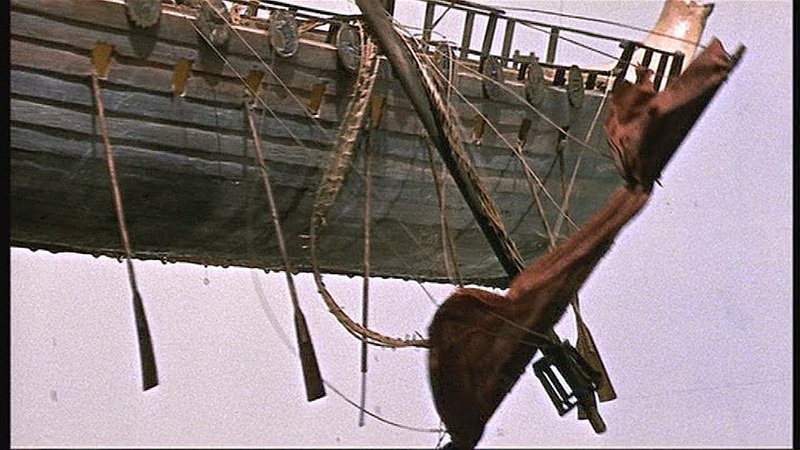 It captured my imagination in many ways. 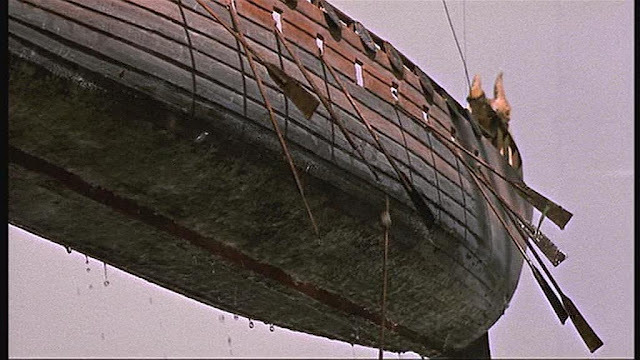 The scenes I liked the most were when the giant bronze statue of Talos came to life along with the eerie groaning metal sound effects and the model ship action as the Argo negotiates the Clashing Rocks with the help of another giant, in this case an actor in costume, playing the god Triton. 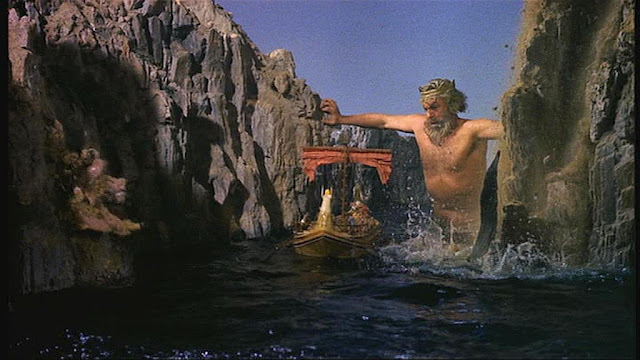 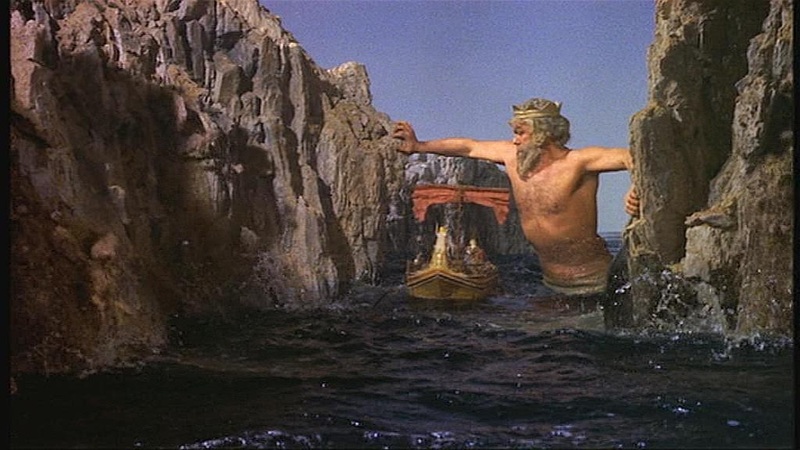 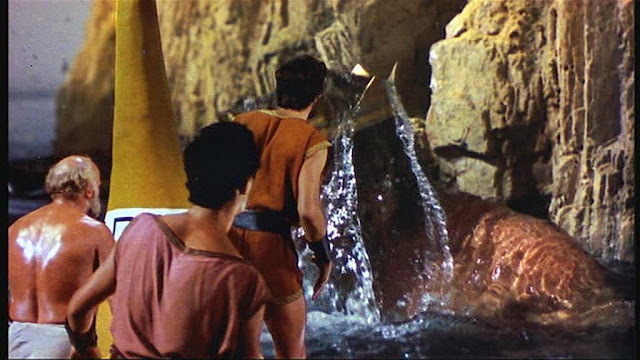 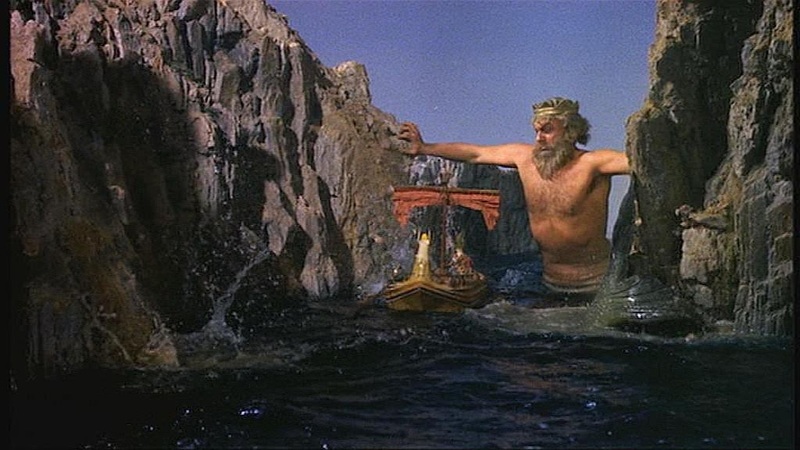 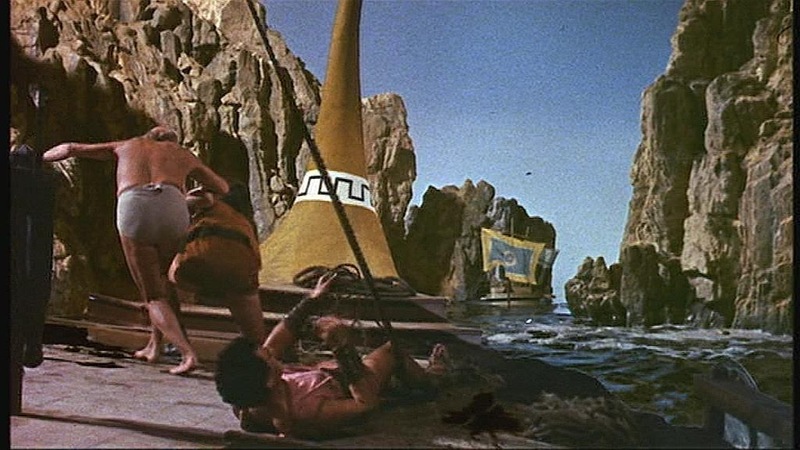 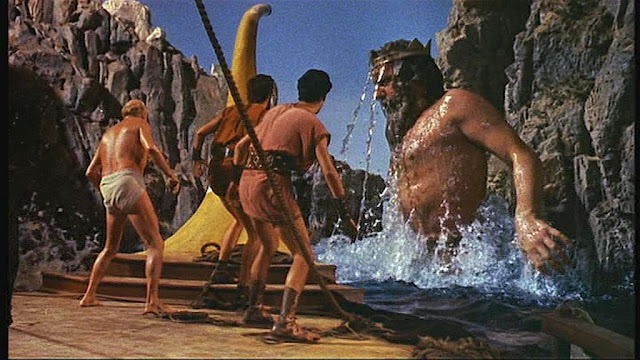 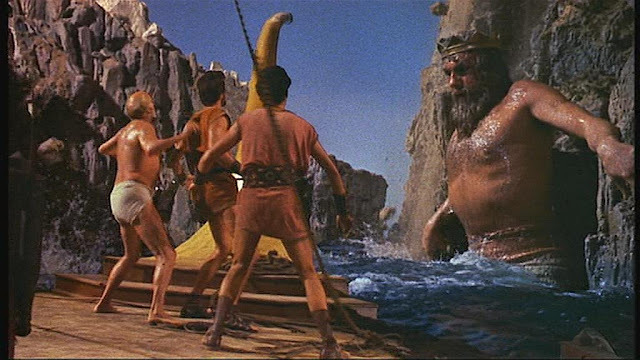 Triton helping the Argo past the clashing rocks. 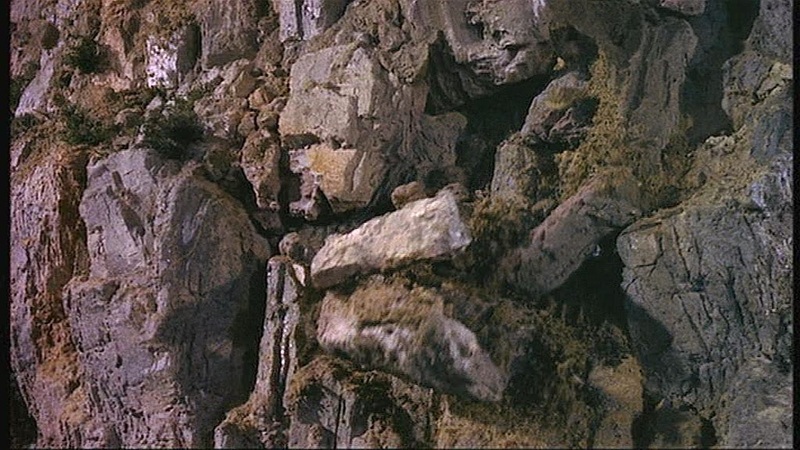 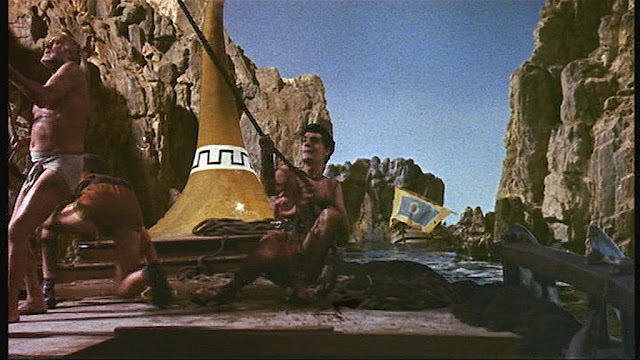 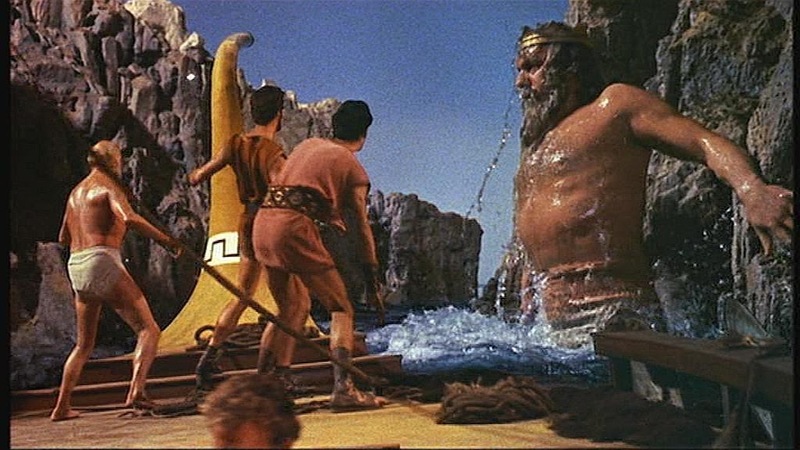 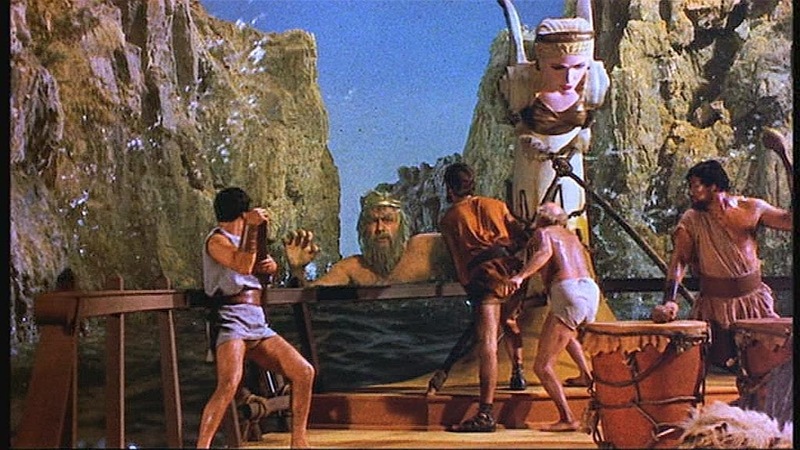 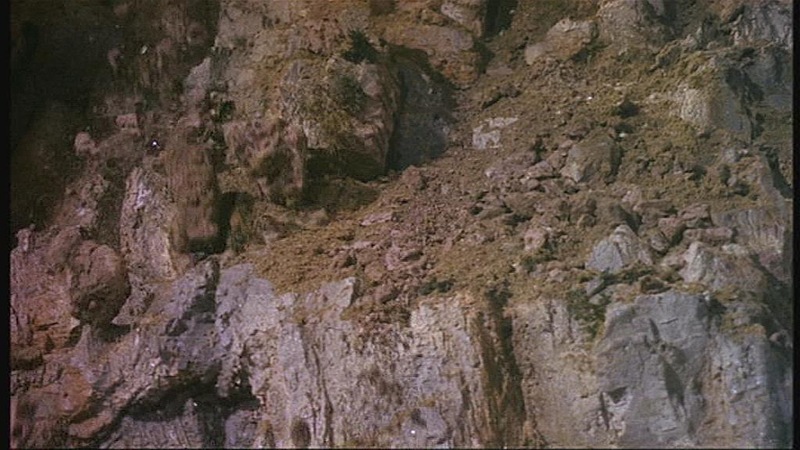 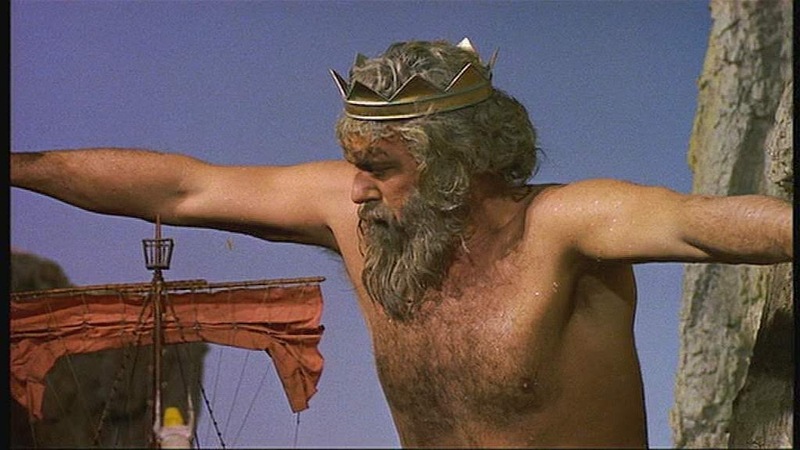 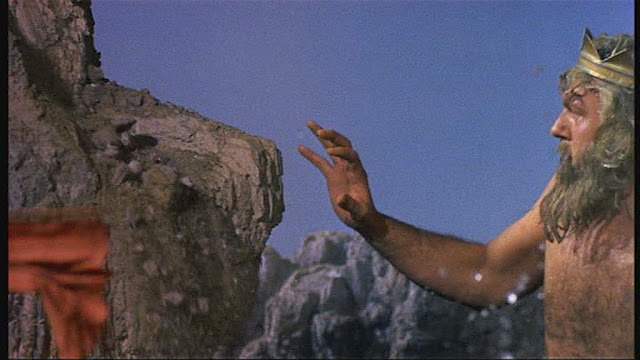 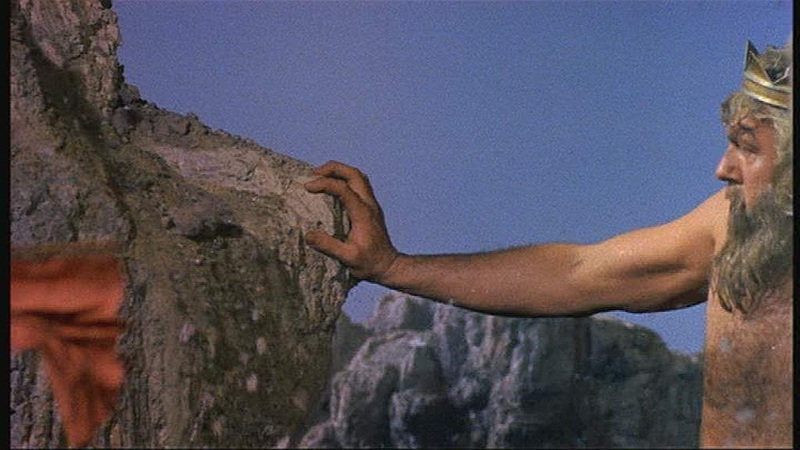 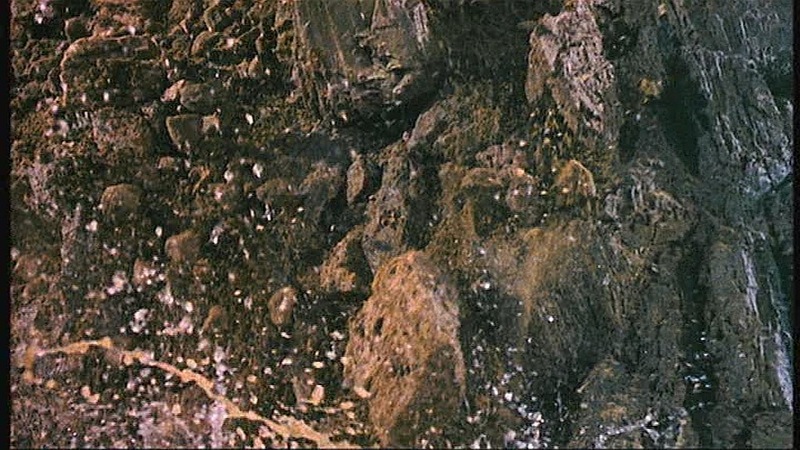 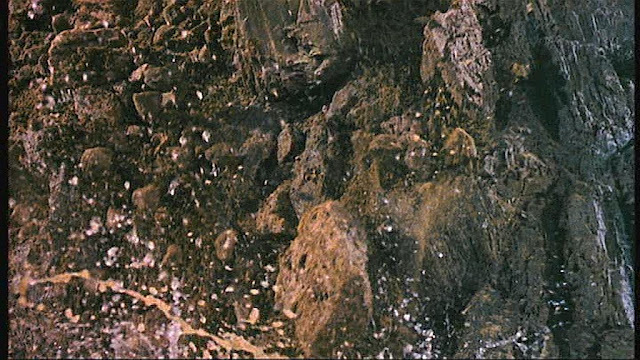 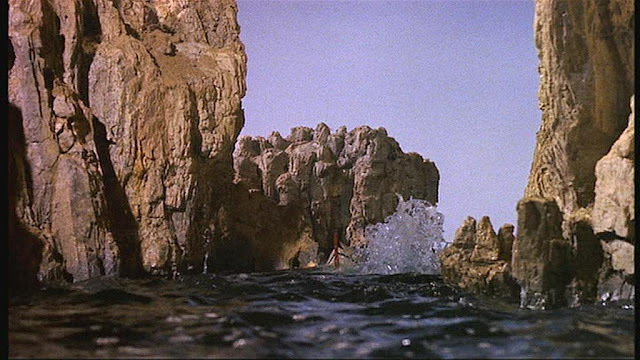 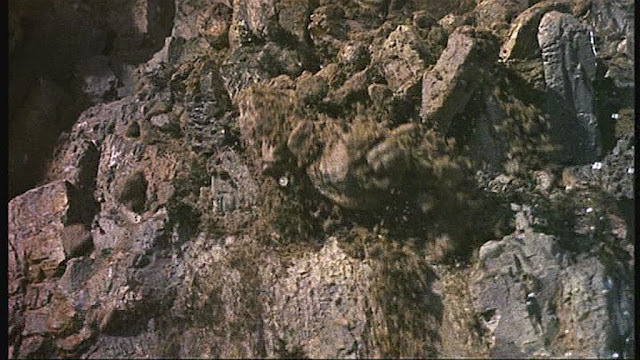 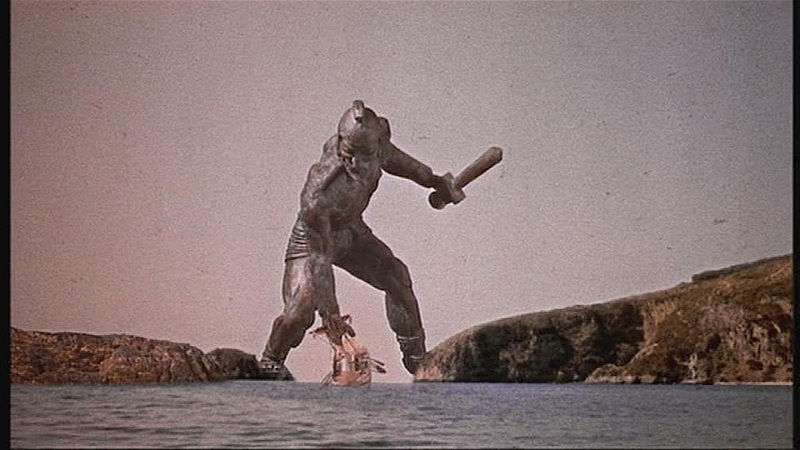 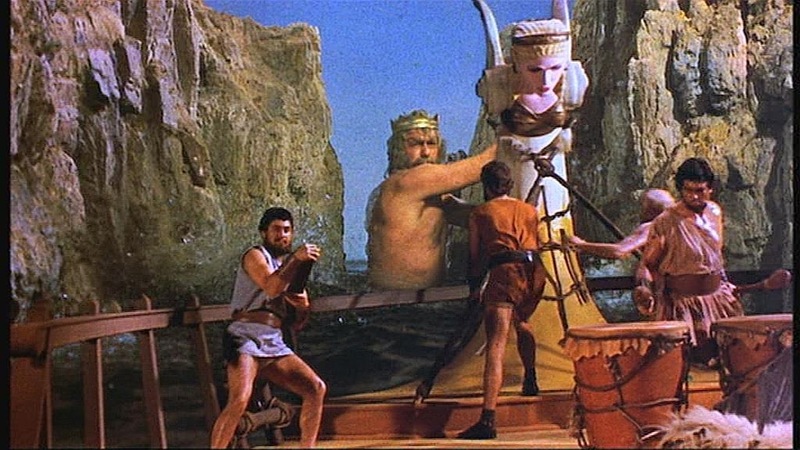 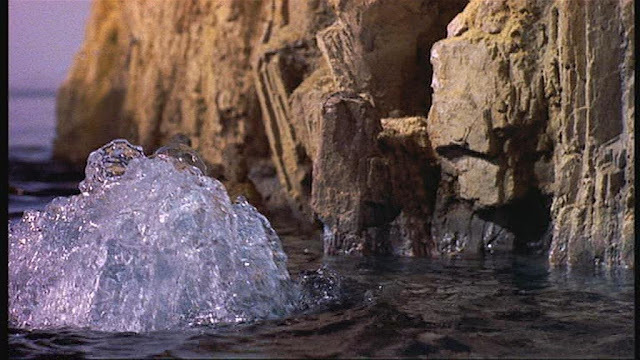 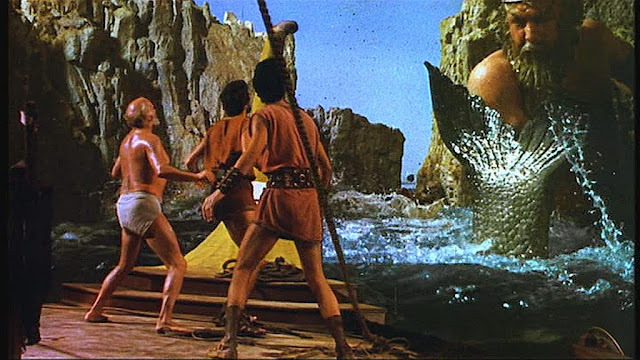 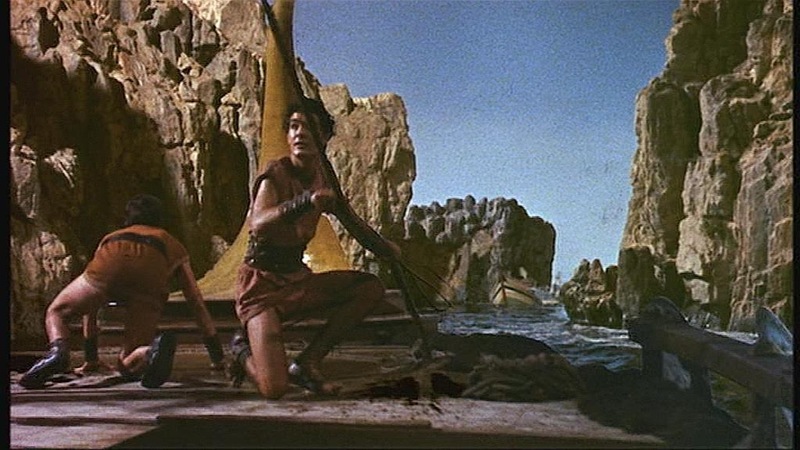 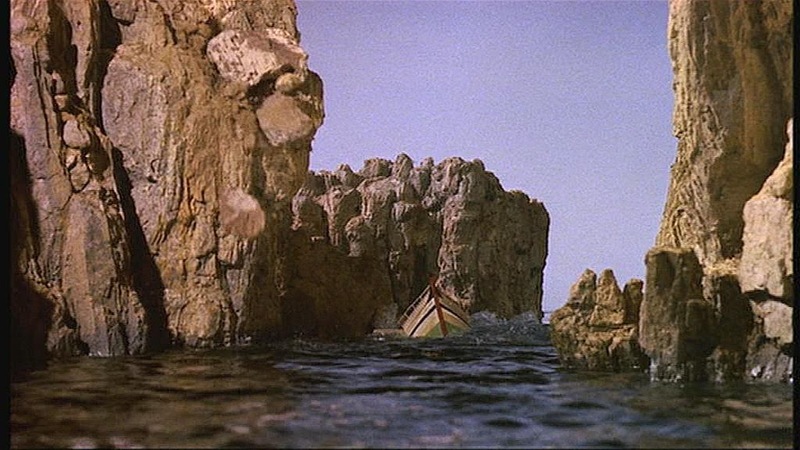 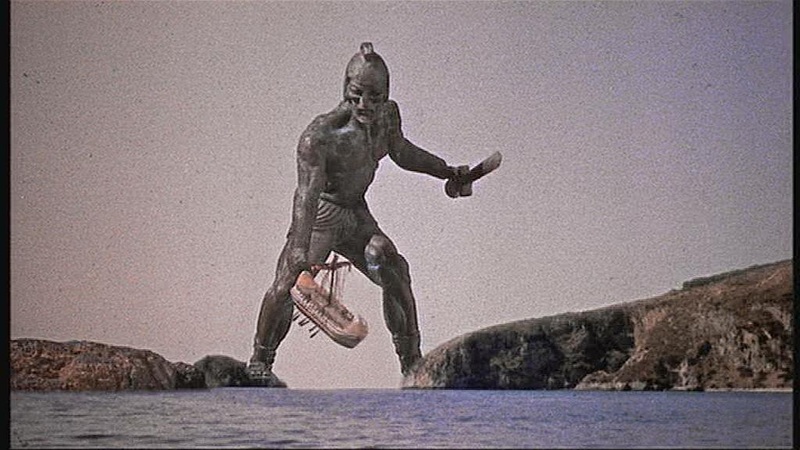 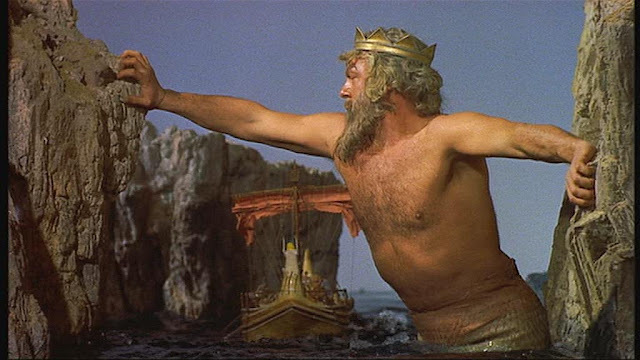 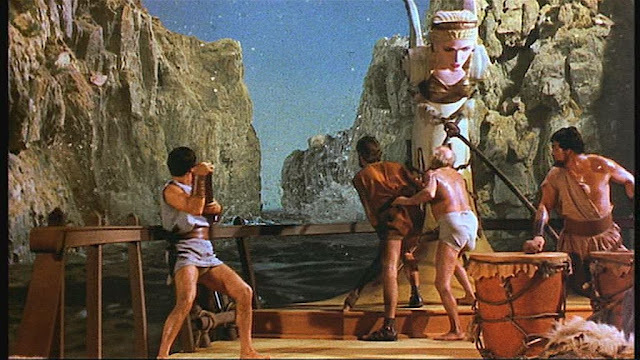 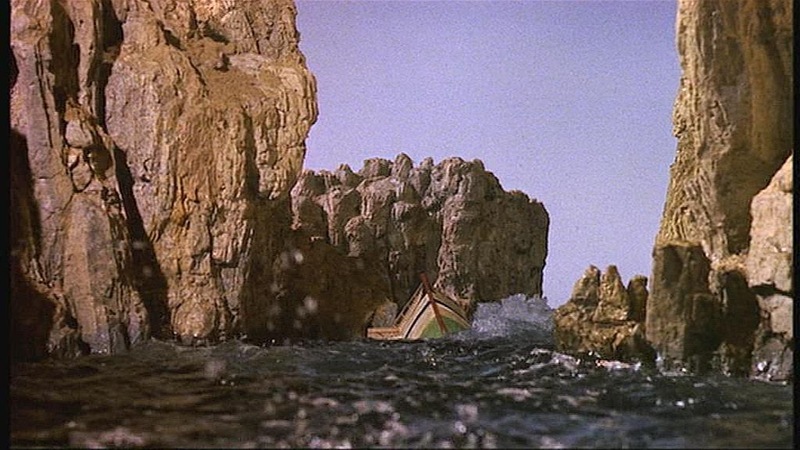 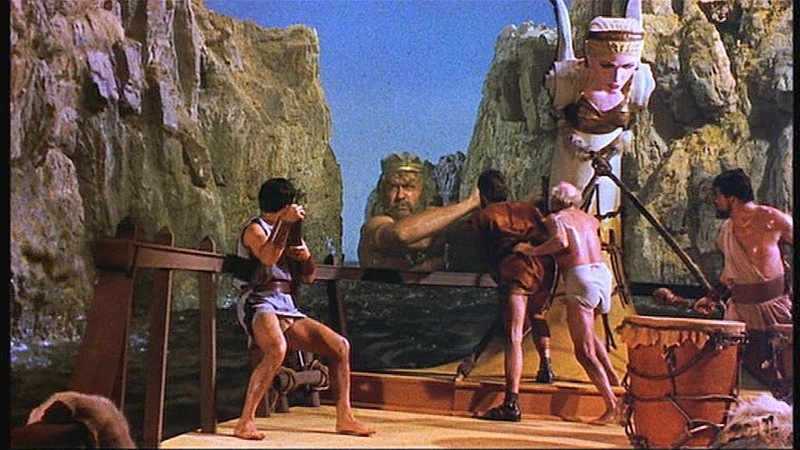 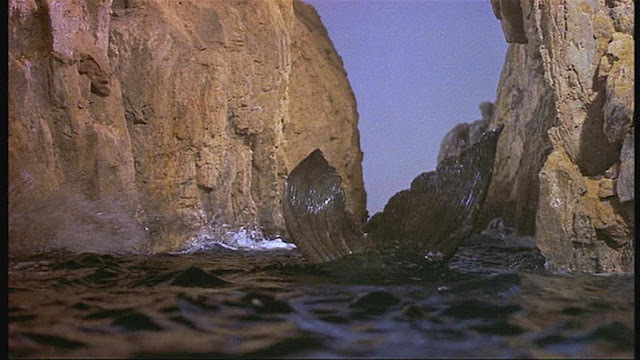 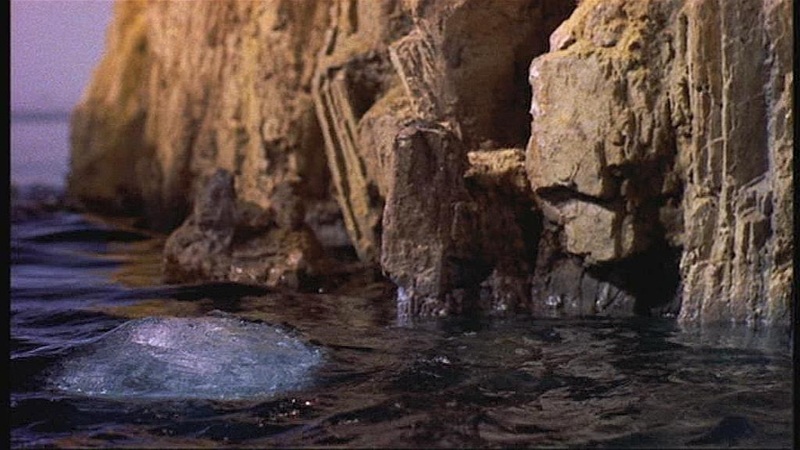 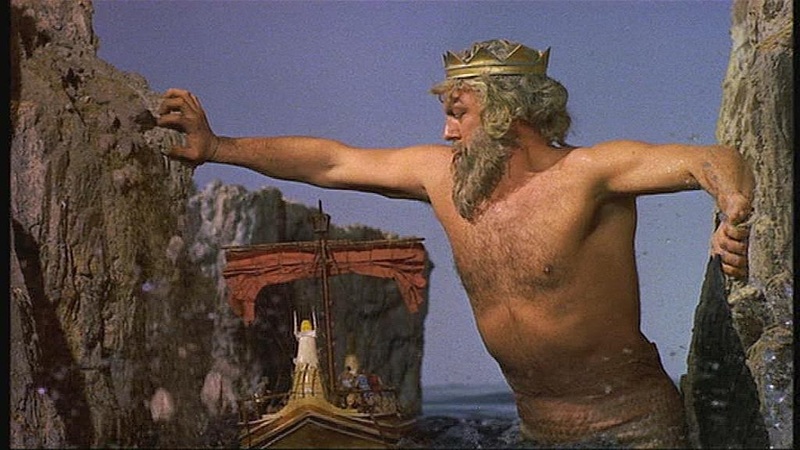 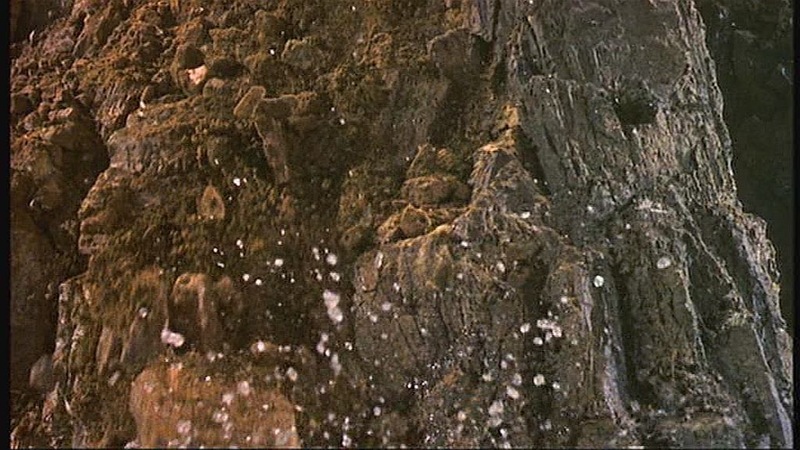 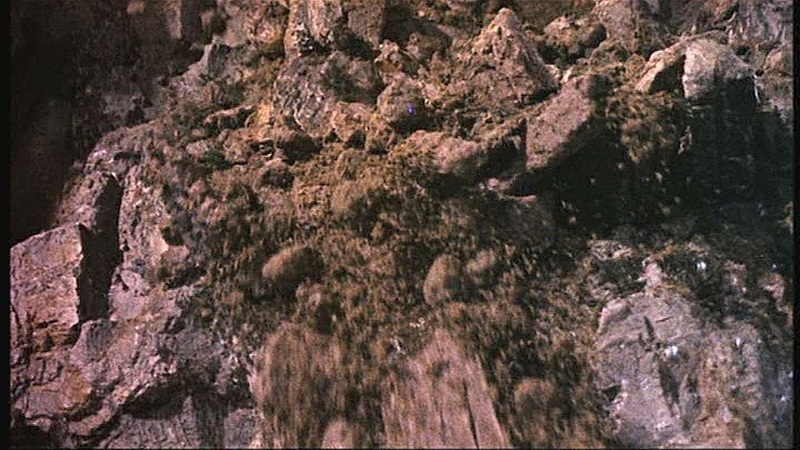 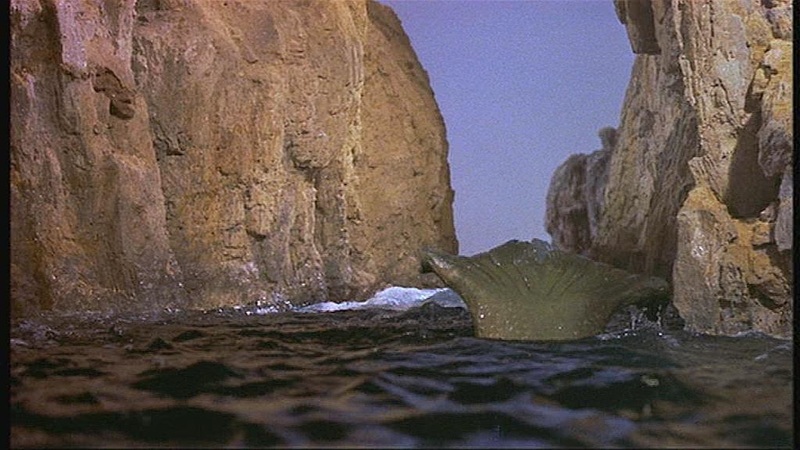 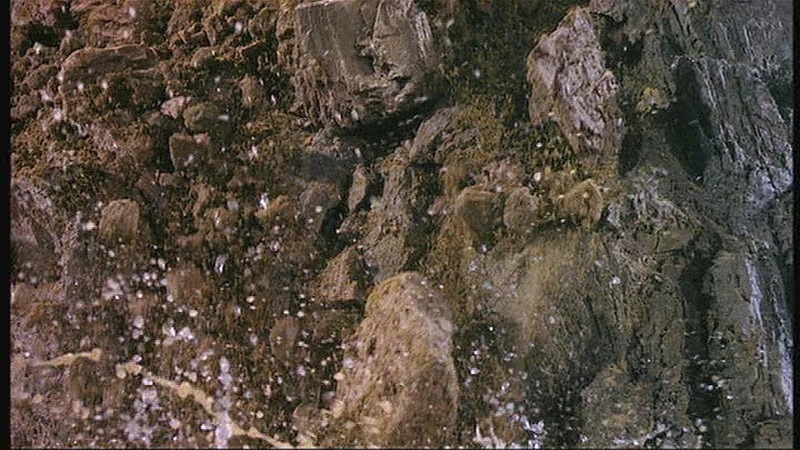 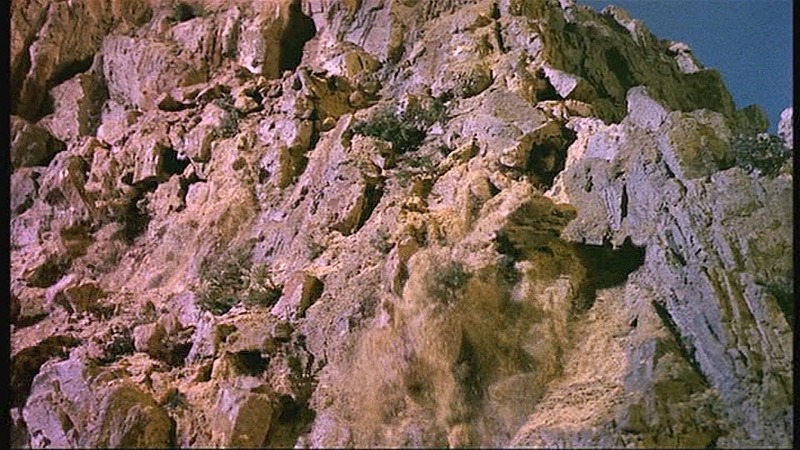 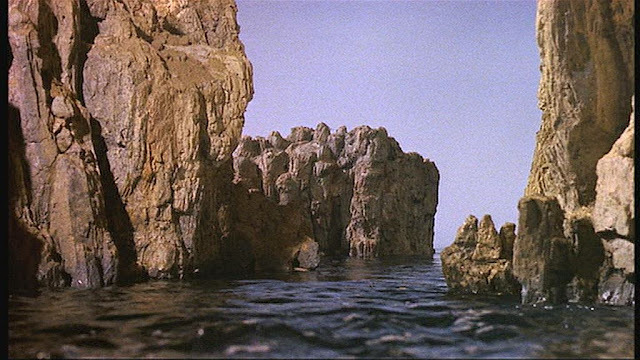 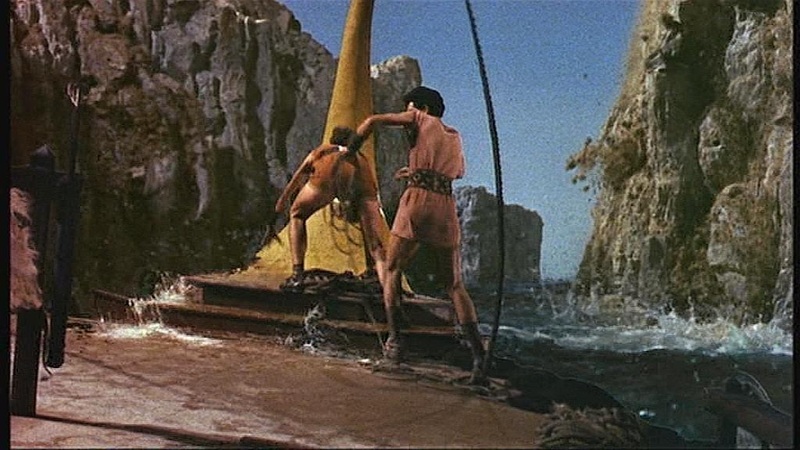 The Argo model appears in two scales in the film, a tiny one that the animation puppet Talos picks up and flings about and a much larger one for the clashing rocks sequence. 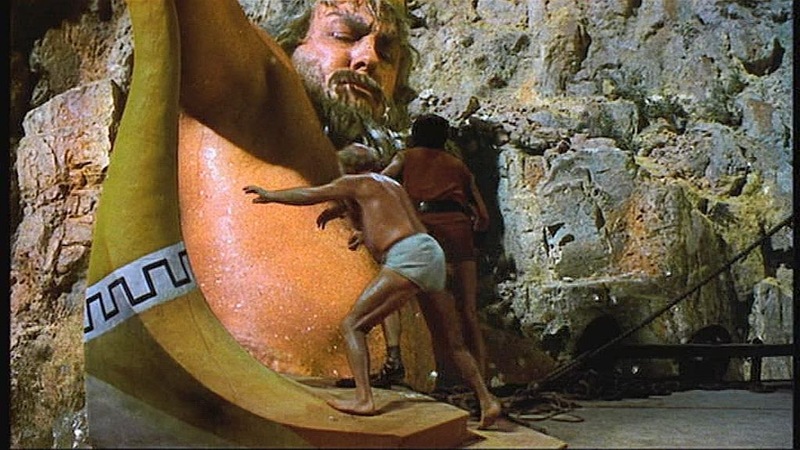 I assume the larger model is also used for some close ups in the Talos scene, mostly of its underside. 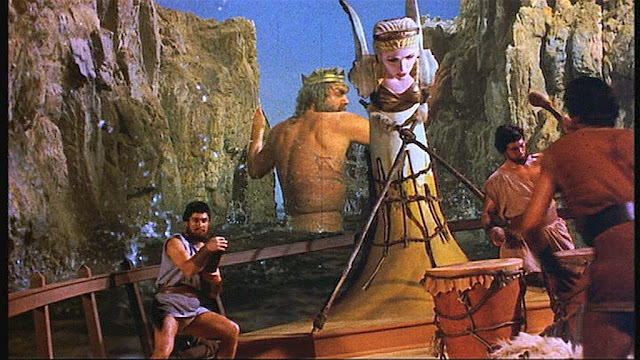 The deck is populated with scale figures. 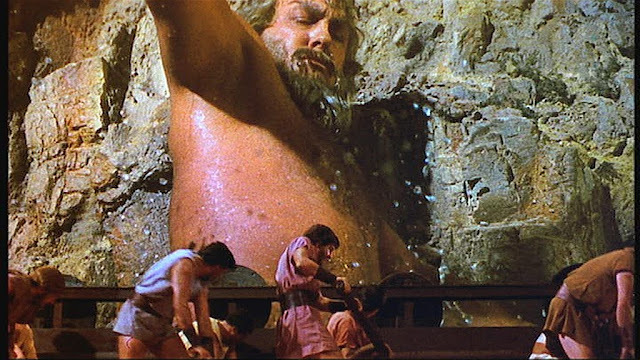 The Clashing Rocks themselves were made of plaster, about 6-7 feet (2m) high mounted on wooden frames and with car inner tubes for flotation. These were moved and shaken by technicians in a water tank, specially constructed for the production, on a small stage at Shepperton studios. The tank was equipped with agitators to generate small scale waves. 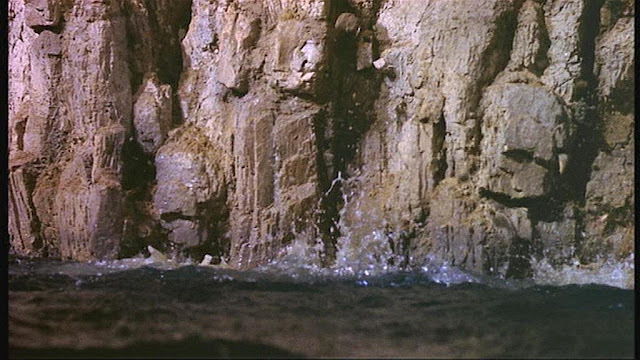 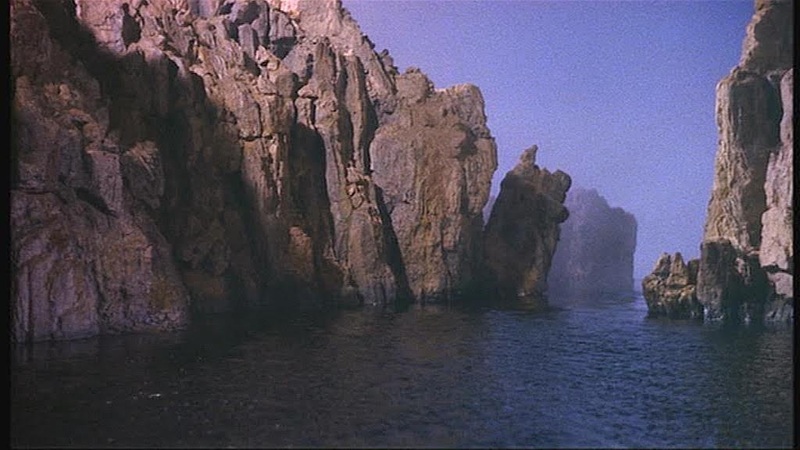 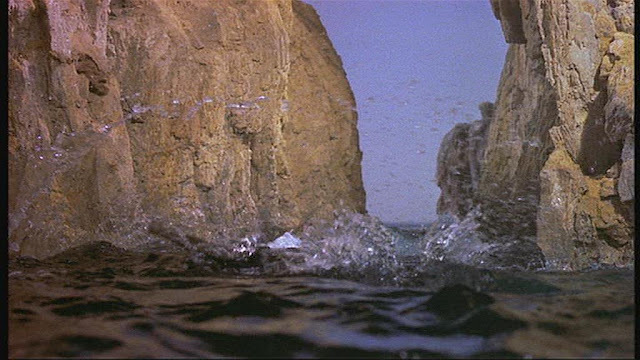 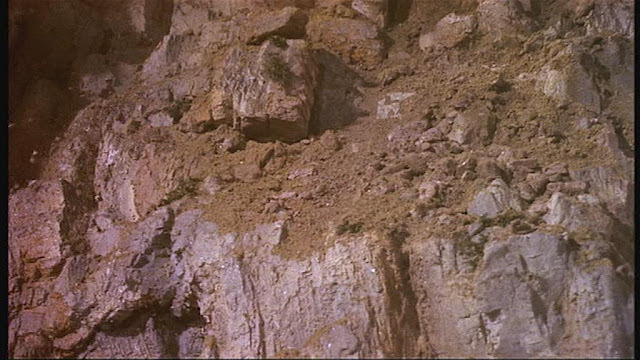 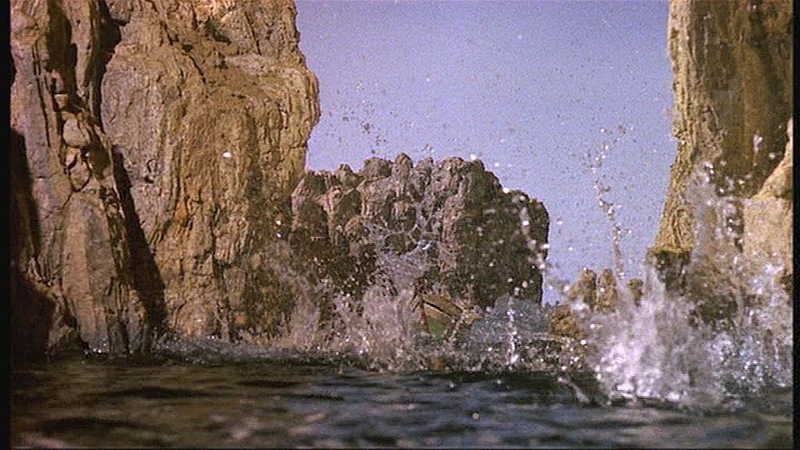 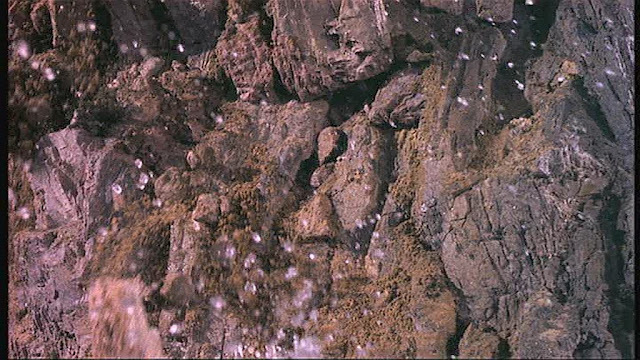 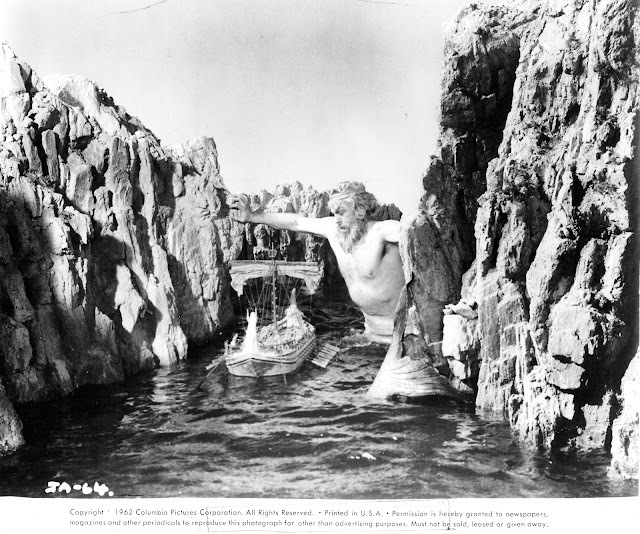 The tumbling rocks were originally made of plaster covered polystyrene foam but on the first day of shooting were found to float, ruining the effect. 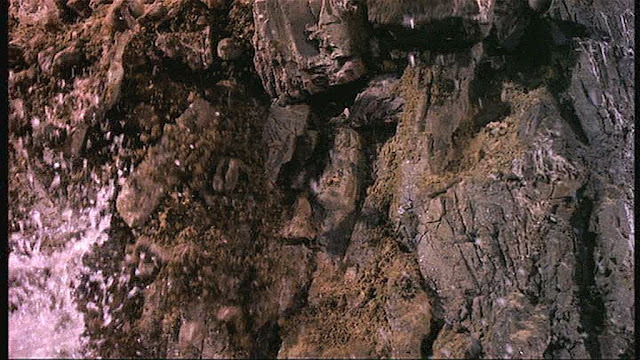 Solid plaster replacement rocks which would sink were subsequently made to rectify this oversight. 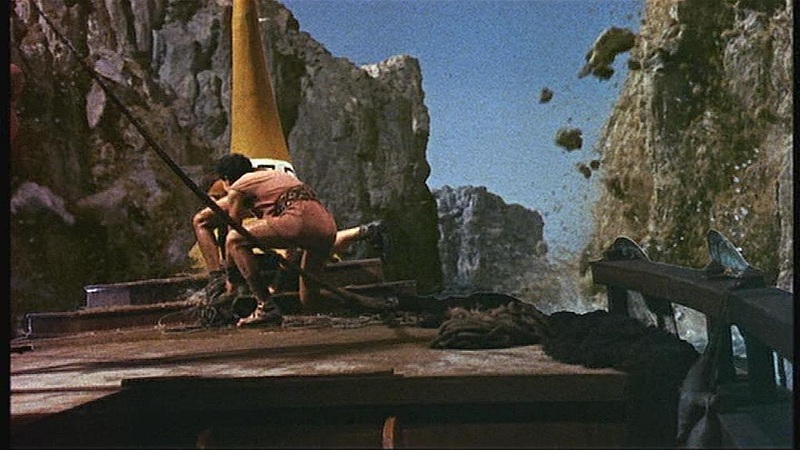 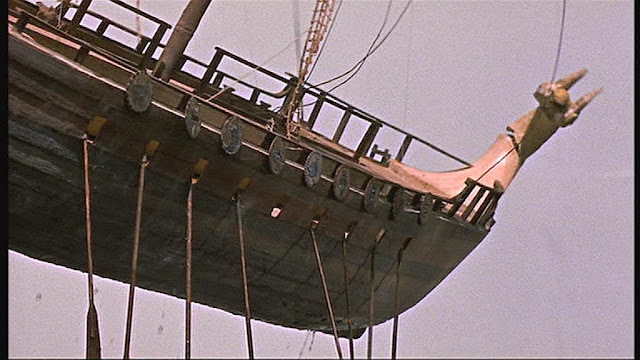 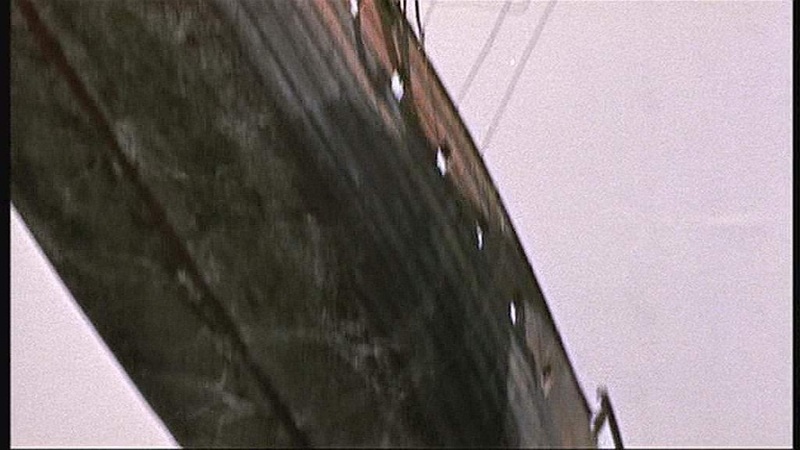 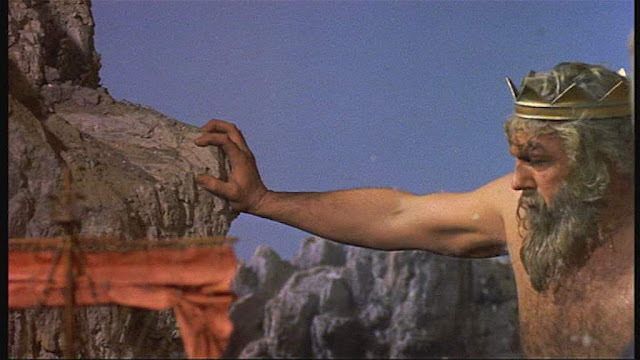 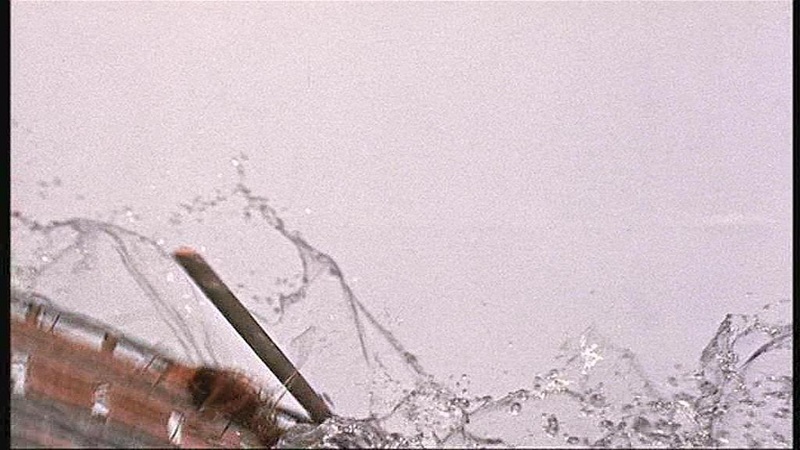 The shots were filmed high speed at 96 frames a second imparting a sense of immense scale and weight to the shots. 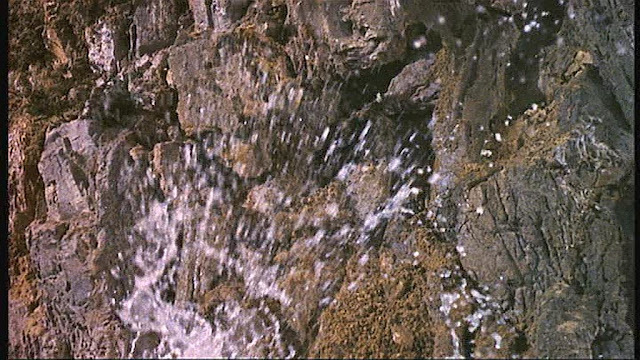 This is 4 times faster than normal speed so if you have a player that can play at 4 times speed you can get an idea of what it was really like on the shoot. 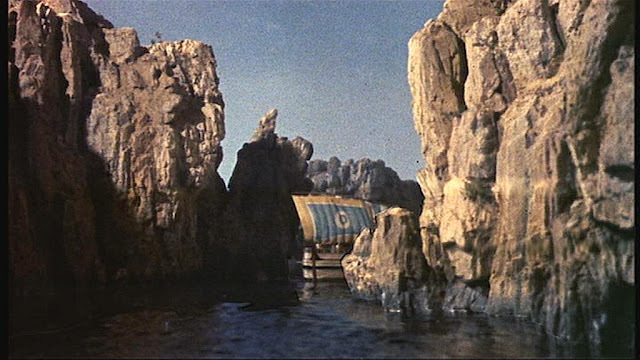 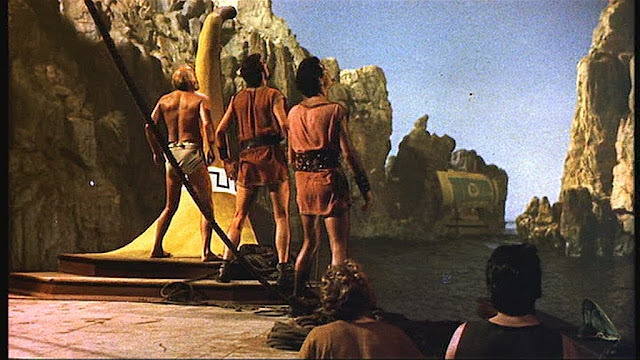 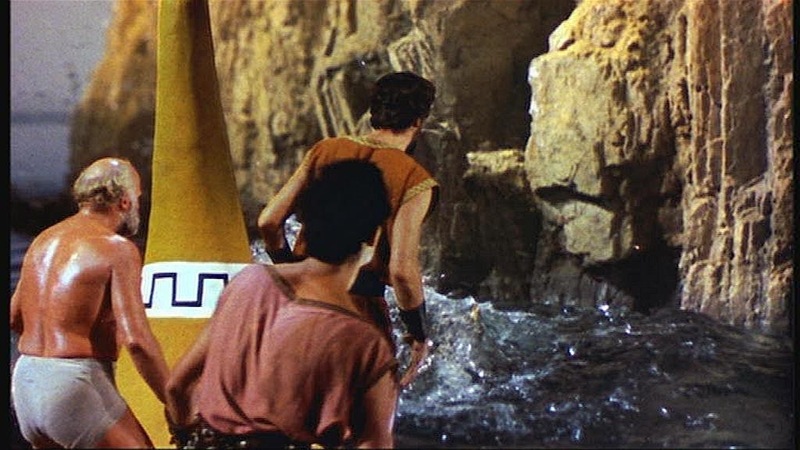 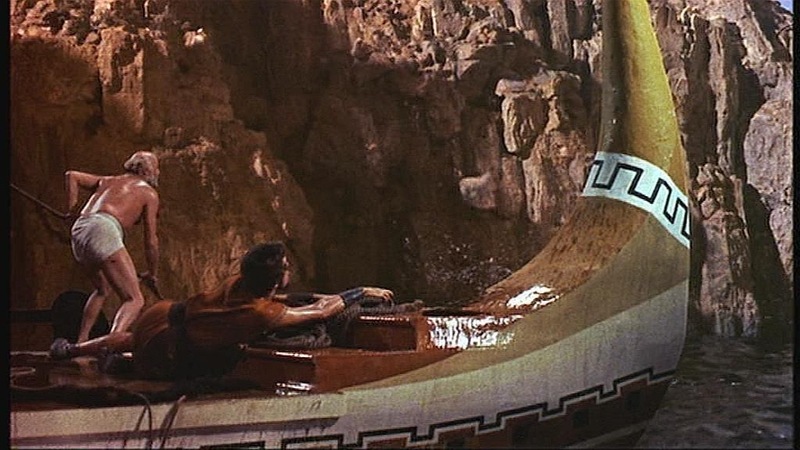 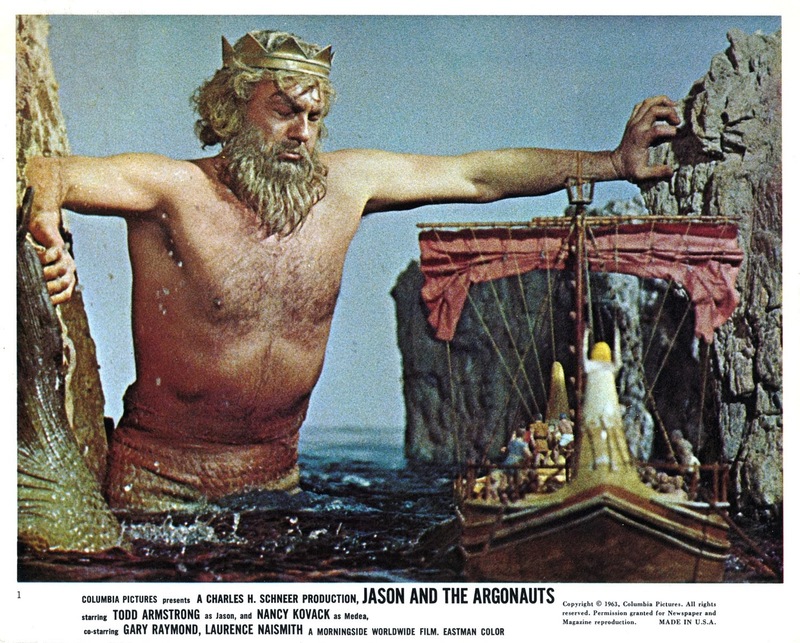 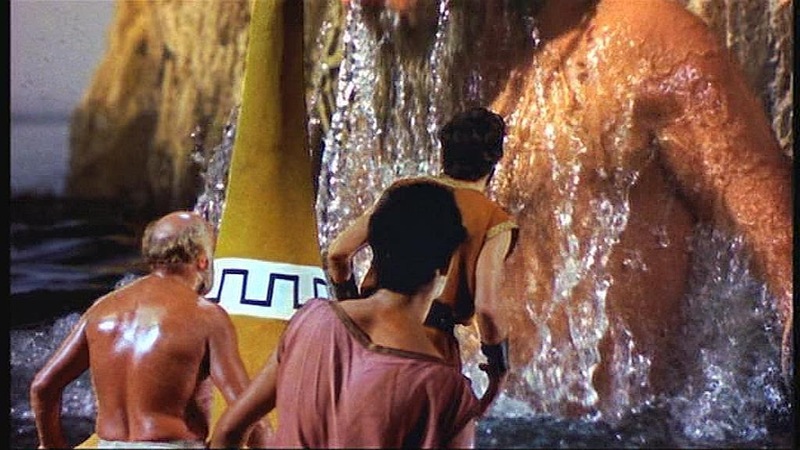 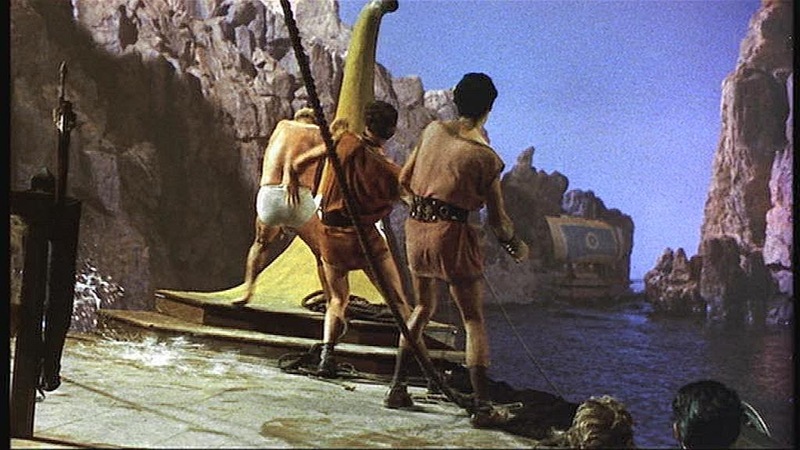 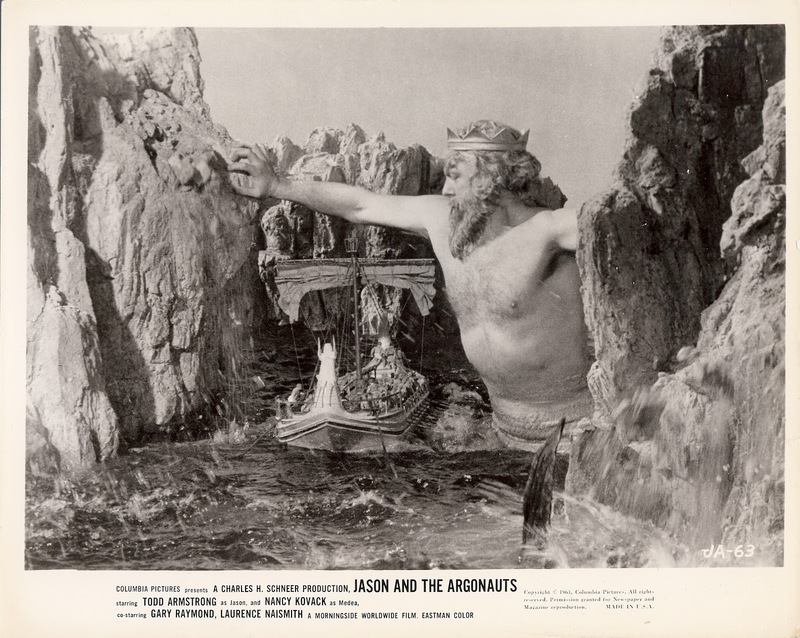 A full size section of the Argo was built on the stage to put the miniature rocks background behind the actors using the Sodium Matting Process which used a yellow screen rather than the more common blue screen.